Any home probably has a corner that is awkward and unusable. But, that doesn't mean with some thought and careful planning you can forget about the space altogether. 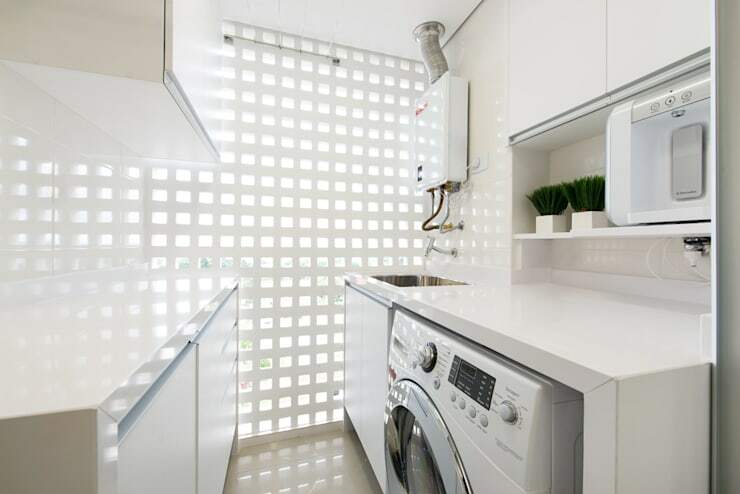 In this homify feature, we look at 9 spaces that are now a perfect spot for one of the most used appliances in the home… the washing machine. Let’s be inspired with these handy hints and tips. 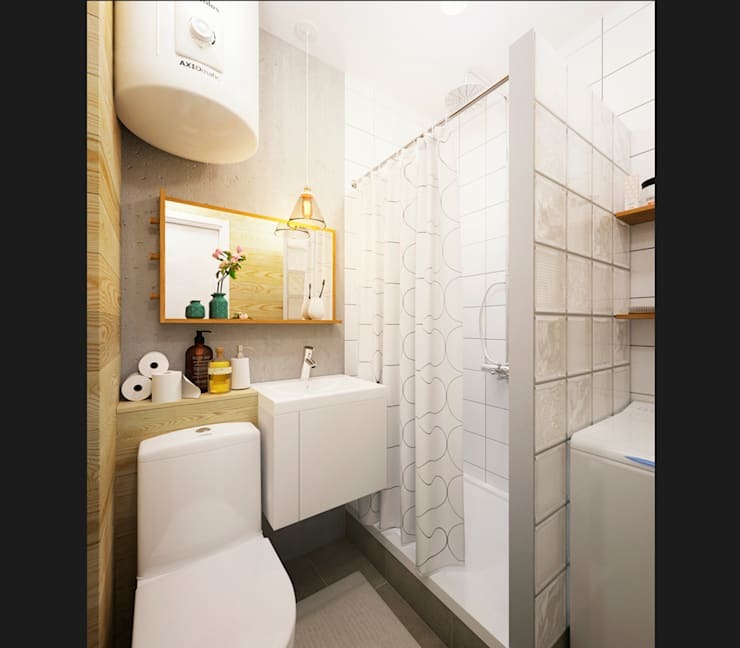 No laundry or space in the bathroom? 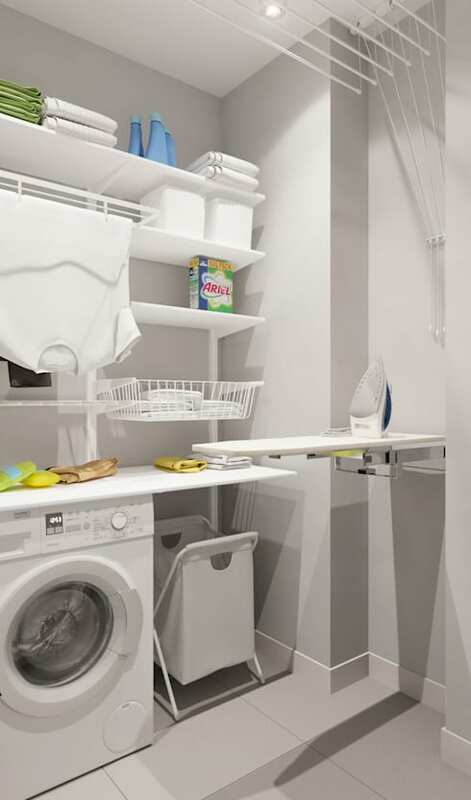 Then place your washing machine inside the broom closet to keep your home neat and organised. 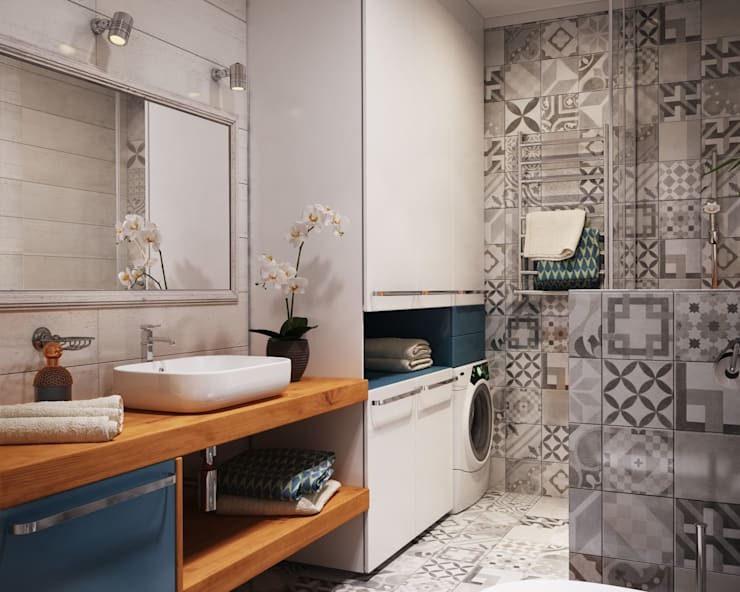 You may have more than enough storage in your bathroom, so remove a simple cupboard in the corner and replace it with your washing machine. 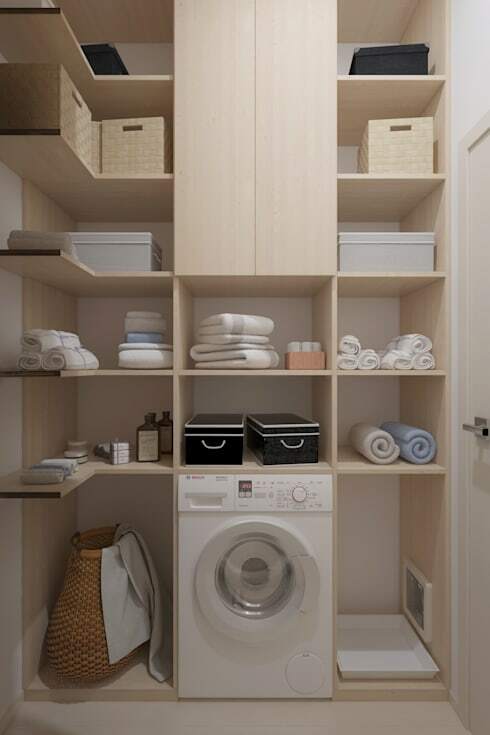 Keep your laundry organised with shelving for all the clothing that has just been washed and needs to be sorted. 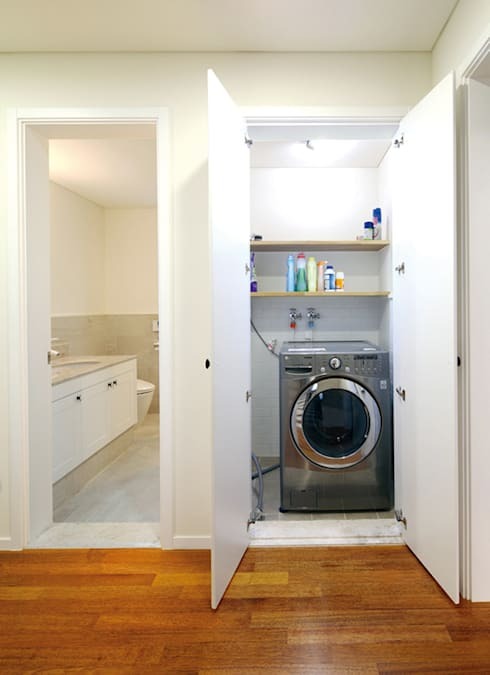 A small kitchen could mean very little extra space for appliances, but a modern front loading washing machine doesn't need much more space. 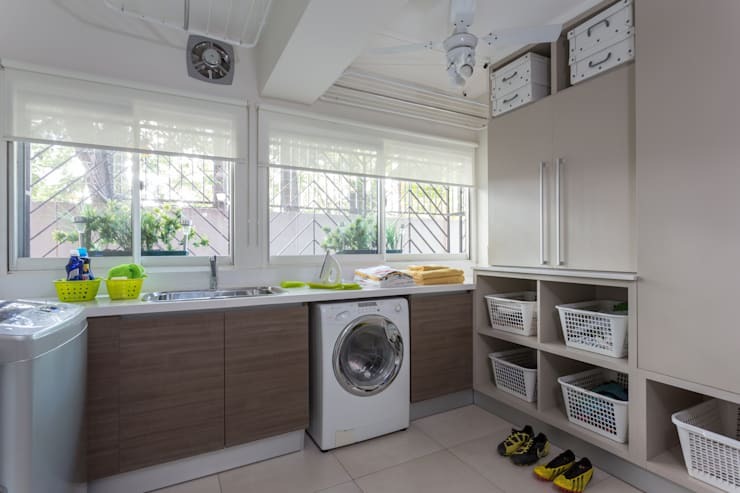 Use the wall as a tiny laundry area and sort everything from detergents to towels. 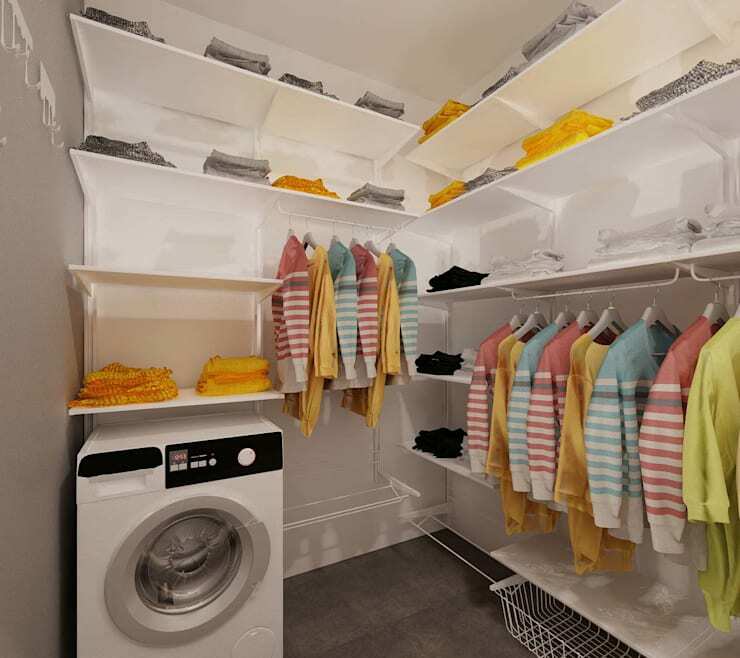 Organise your laundry area with designated space for everything from colours to socks. Include a permanent ironing board while you're at it, you won't have any excuse to wear a crinkled shirt again and it will also mean you don't need to hunt for an ideal spot to ironing your clothing. One less room in the house then you need? Then combine your office with the laundry and you can keep an eye on your washed items so you never forget to hang them out to dry again. How have you used your awkward spaces?